What are Frank Sinatra's most famous songs? My Way, Fly Me to the Moon, New York, New York, I've Got You Under My Skin, Somethin' Stupid, You Make Me Feel so Young, Love and Marriage, Luck be a Lady, That's Life, The Lady is a Tramp, Moon River are just a few of his most famous songs - do you have a favourite? Frank died May 14 1984 at Cedars-Sinai Medical Centre in LA with his wife by his side. He was age 82 and he died following a heart attack as well as a history of other illnesses including bladder cancer, pneumonia, high-blood pressure and he was also living with dementia. His last words were reported to be "I'm losing". Following his death, the lights on the Empire State Building in New York were turned blue and the lights of the Las Vegas strip were dimmed in memory of Sinatra. What films did Frank Sinatra star in? Some of Frank Sinatra's most famous films include From Here to Eternity, Not as a Stranger, Guys and Dolls, The Man with the Golden Arm, High Society, Pal Joey, Come Blow your horn and None but the Brave which he also directed. How many albums did Frank Sinatra have? 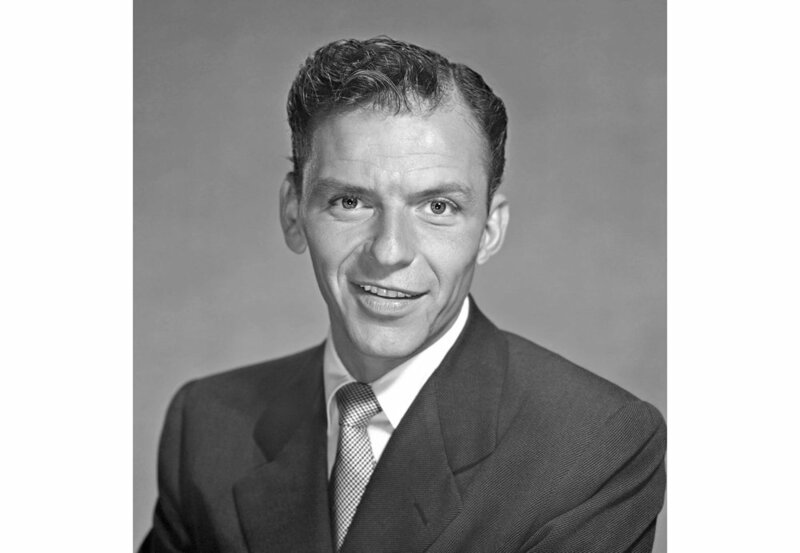 As well as his 297 singles, Frank Sinatra recorded 59 studio albums including The Voice of Frank Sinatra in 1946, Come Fly with me in 1958 and Nice 'n' Easy in 1960. What are some of Frank Sinatra's most famous quotes? Who were Frank Sinatra's famous friends? He was famous for being in The Rat Pack, a name for the group of entertainers who performed in Las Vegas casinos. 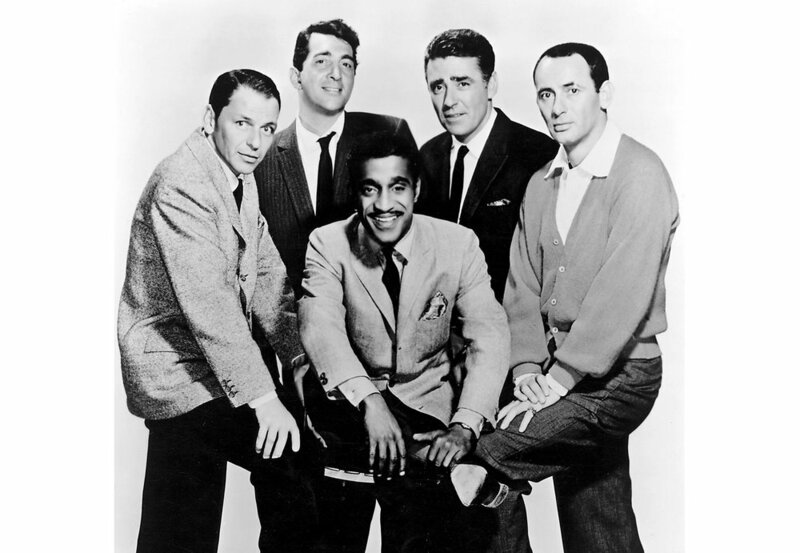 Members included Frank Sinatra, Dean Martin, Sammy Davies Jr., Peter Lawford and Joey Bishop. Other famous friends included Cary Grant, Judy Garland and Marylin Monroe. Does Frank Sinatra have any children? He had three children with his first wife Nancy Barbato. Nancy Sinatra in 1940, Frank Sinatra Jr. in 1944 and Christina Sinatra in 1948. He was married four times. He married his first wife Nancy Barbato in 1939. They announced their separation on Valentine's Day in 1950 after his extra-marital affairs became public knowledge. He married his second wife Ava Gardner in 1951. Their marriage was turbulent however and despite the couple separating in 1953, their divorce wasn't settled until 1957. He married Mia Farrow in 1966 when she was 21 and he was 50 but they later divorced in 1968. He and his last wife Barbara Sinatra remained together from 1976 until his death in 1998. What did Frank Sinatra's autograph look like? What are Frank Sinatra's Christmas songs? Frank Sinatra's 1948 album of Christmas songs was a hit and still, his famous covers of Christmas classics such as White Christmas, Silent Night and Have Yourself a Merry Little Christmas. What school did Frank Sinatra go to? Sinatra attended David E. Rue Jr. High School from 1928, and A. J. Demarest High School in 1931, where he arranged bands for school dances. He left without graduating, having attended only 47 days before being expelled for "general rowdiness". Where did Frank Sinatra live? Frank Sinatra owned many homes. He owned a New York apartment in the Upper-East side of Manhattan, his Palm Springs home where he spent most of his time, a house in the Coachella Valley and a New Jersey beach house where he would spend most of his summers. Who has Frank Sinatra sang duets with? Frank Sinatra sang many famous duets with other iconic singers of the time including Luther Vandross, Aretha Franklin, Gloria Estefan, Ella Fitzgerald, Tony Bennet and Liza Minnelli. Where was Frank Sinatra born? He was born December 12th 1915 in an upstairs tenement at 415 Monroe Street in Hoboken, New Jersey, USA. Did Frank Sinatra have any books? His Way: An Unauthorized Biography of Frank Sinatra is a best-selling book all about his life. Are you a fan of Frank Sinatra? Let us know over on our Facebook page and Twitter page.